I’m doing keto… Now what? So, you’re trying the ketogenic diet. You have meal plans in place, are ready to lose some weight and ready to feel that clarity and physical energy everybody keeps talking about. How exciting! The great news is that many supplement companies have come up with supplements that can help support you and your body during that transition! While you may not need supplements if you are doing a well formulated ketogenic diet, they are there as an option to support your goals or address specific symptoms you may be experiencing while transitioning. Let us break it down for you so you have a better understanding of what is available to you and why you should consider it! Depriving your body of carbohydrates as a source of energy can be a shock to the system. After all, your body has only ever known one way of producing energy until now, hasn’t it? For some people it can take weeks until it gets into ketosis or learns to produce its own ketones from burning fat as a source of energy. Exogenous ketones can help your body get into ketosis faster and more efficiently. Why not save your body days, maybe weeks of hard work and experience the amazing benefits of being in ketosis faster! Ketone supplements are also a good thing to have on hand for A) if you have a cheat meal, you can take some to quickly put you back in ketosis and B) for any boost of extra energy you need (workouts, presentations etc). Amaranth carries two types: Ketones bonded with butyric acid and ketones bonded with minerals (aka ketone salts). Ketones and Butyric acid – typically have a stronger taste and may show quicker and more pronounced results. You also get the benefit of the butyric acid, which has many complimentary benefits to the ketones themselves. Ketone salts- includes BHB (the main ketone) bonded with various minerals like sodium, potassium, zinc etc. These typically taste much better and blend easily. For individuals looking for extra electrolytes, minerals and especially sodium- these are a great option. The ketogenic diet, especially at the beginning, alters your body water composition. It is not only recommended to substantially increase your water intake but supplementing with a good quality electrolyte powder/ liquid is a good idea. Many people experience flu like symptoms at the beginning of their transition. One of the factors that can exasperate these symptoms is dehydration from water loss that comes from altering your body water composition. Spotlight: One of our favourites right now is the Exogenous Ketones with electrolyte powder from Kiss My Keto. Why not kill two birds with one stone and have the best of both world? This supplement does not only save you money, but it also keeps you hydrated while helping your body get into ketosis. The Brand Ultima’s electrolyte powder is another strong player for keto dieters looking for easy to mix, tasty, and clean extra electrolytes. If you are not already taking a multi-vitamin, now is the time to start! Cutting certain foods out of your diet such as bananas, potatoes, yams, carrots, apples or oranges, means you are also cutting out certain vitamins and minerals your body needs in order to function properly and age well! Taking a good quality, whole food based multi-vitamin ensures you are getting your daily intake of vitamin and minerals all while pursuing a ketogenic lifestyle! Spotlight: Our Whole Earth and Sea multis are certified organic, whole food based, affordable and incredibly complete! MCT stands for medium chained triglycerides. MCT oil comes from processed coconut oil and provides a great amount of good fats to help fuel you, fights inflammation, improve cognitive health and helps kickstart your metabolism when on a ketogenic diet. Add this oil to smoothies, coffees or simply have one or two tablespoons of it in the morning to start your day powerfully! Spotlight: Bulletproof Brain Octane. This MCT oil was designed to jumpstart your brain and give you the mental clarity and energy needed to take on the day! It only uses C8, the MCT that most promotes the ketone and energy production in your brain and the one with typically the least risk for digestion issues. For more info visit Bulletproofs website here. Spotlight: Nutiva MCT powders. Nutiva’s MCT oil is not only organic/hexane free, but it also comes in powder form in a variety of yummy flavours. Vanilla, chocolate and matcha to add goodness to your coffees, smoothies, teas, elixirs and baked goods! Many people prefer the powders because they are less messy, easy to mix, easy to travel with, and are easier to digest. The two cons of MCT powders are 1) Price and 2) most studies are done with MCT Oil. Whether you are on a ketogenic diet or not, omega 3s are a must to fight inflammation, improve cognitive health and contribute to add years to your life! It is especially true when living a keto lifestyle as coconut oil or MCT oil contains omega 6. Which is not a bad thing, as long as you are conscious about balancing it out with omega 3s to have a good omega 6 to omega 3 ratio, which lowers inflammation. 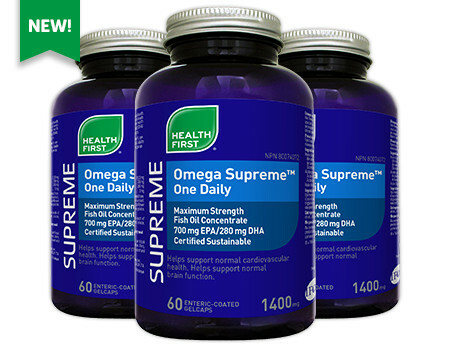 Plus, omega 3s break down into two compounds: EPA and DHA, both known to reduce inflammation, lubricate your joints, feed your skin and hair, help balance out hormones and have brain protective properties. Don’t miss out on all the amazing benefits dark, leafy greens have to offer! A great way to make sure you cash in on all the anti-aging, heart health properties a lot of these power houses have, is to add a couple of scoops of greens powder to your smoothies, cereal or water daily! Spirulina, for example, is not only packed with an incredible amount of vitamins and minerals but it is also considered to be a complete protein. Spotlight: KetoGreens by Prairie Naturals contains the dark leafy greens powder you want with MCT oil powder added. Kill two birds with one stone with this amazing new product designed specifically for you! Bile salts act as a fat emulsifier and lipase is the enzyme needed in order to break down fat in the body into fatty acids. Lipase decreases as we age. When we are on a ketogenic diet, our body has to work harder at producing this specific enzyme to help us break down the high amount of fat we are ingesting. Taking digestive enzymes that contain lipase as well as ox bile can be a great way to support the digestive system. Spotlight: Prairie Naturals Ketoenzyme (shown above). This amazing digestive enzyme complex made specifically for you contains 2 forms of lipase as well as purified ox bile! So you can sit back, eat fat, and know that this supplement is exactly what you need to support your digestive system while it is hard at work. A non-essential amino acid primarily found in red meat, L Carnitine has numerous benefits. Specifically, for those on the keto diet, it is involved with burning fat in your body and can cross the blood brain barrier and help with brain health and energy. Acetyl L Carnitine (ALCAR) is most known for its cognitive affects. Those on the keto diet may have L Carnitine levels dip while in transition to burning fat for fuel, supplementing ALCAR may help during this period. Your body will naturally balance out Carnitine levels as you become fat adapted, leaving supplementation not required in the long term. Note- although the strips will give you an indication that you are making ketones, long term use has shown less accuracy (as your body gets less efficient and excretes less in your urine). 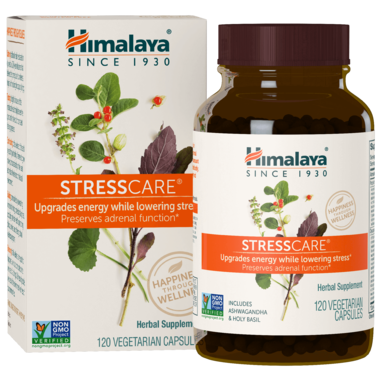 Himalayan Stress care (has additional blood sugar support which may be a good fit specifically for those in keto). All supplements may not be a good fit for each individual body or circumstance. If you are unsure, please do your research and consult a professional or talk to one of our wellness advisers in store. If you have any pre existing conditions or are on any medications, we recommend talking to your doctor before starting any new supplement regime. Lastly, if you find your “keto flu” symptoms lasting more than a few days to a week, please seek further help as there may be something missing in your keto diet or you may actually be sick and not experiencing the keto flu.